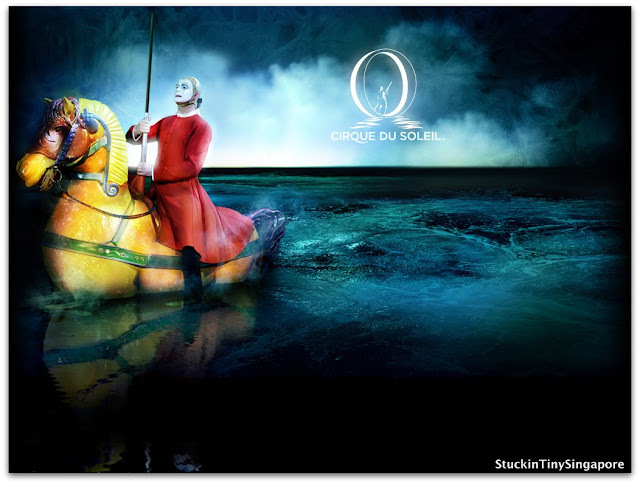 I am a great fan of Cirque du Soleil's shows and the great news is that they are in Singapore till August 5th 2012 for the show Saltimbanco, playing at the Indoor stadium. A little information about them - Cirque du Soleil (Circus of the Sun) originates from Canada. They have done over 19 shows showing over 271 cities. The uniqueness of their shows are their bright costumes, beautiful scores, live music featuring amazing singers and musicians and most breathtaking acrobatic performances. Don't take my word for it, go and catch one now. When we were living in England, we would get tickets for the touring shows that came to the Royal Albert Hall in London every January/February each year. And when I travelled to places that had their arena shows, I would make sure I went to watch them. To date, I have watched 7 of the Cirque du Soleil shows, 8th one being the Saltimbanco one in Singapore. 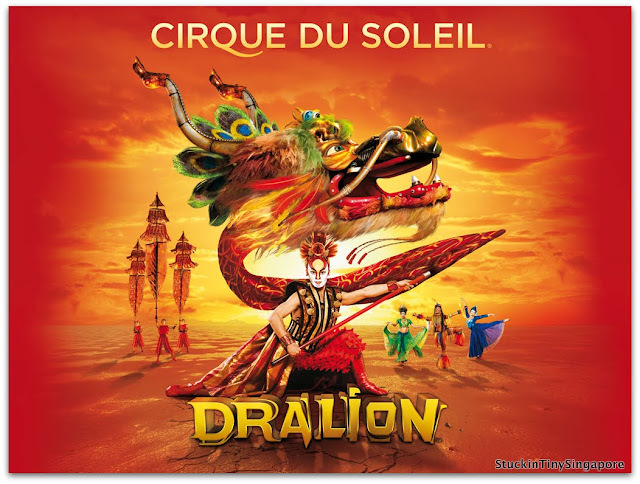 First show ever watched was Dralion in London's Royal Albert Hall in 2005. This show features a fusion of east and west - as the name suggests. 'Dra' for the dragon on the east and 'Lion' representing the west. This was followed by KÀ. This is an arena show rather than a touring show, based at the MGM Grand in Las Vegas. 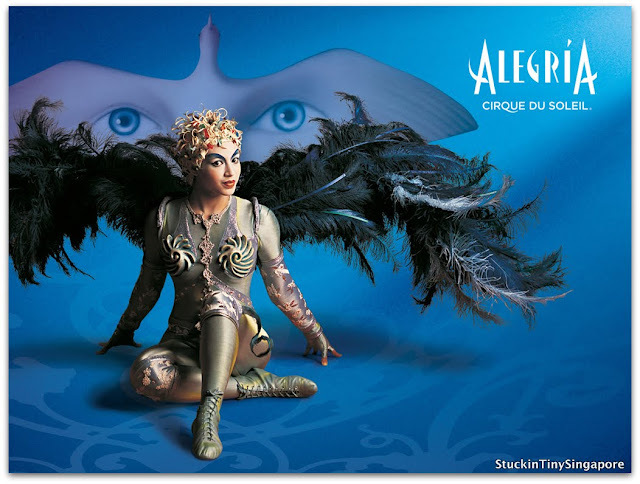 This show is different from the other Cirque's show, whereby it does not use a conventional stage. It features instead giant moving platforms that appears to float through a bottomless space. Therefore, the show amazes the audience with spectacular acrobatic stunts with the performers appearing to fall into a bottomless pit. In 2006, we returned to Royal Albert Hall to watch Alegría. Alegría showcases colourful and elaborate costumes and a wonderful score. 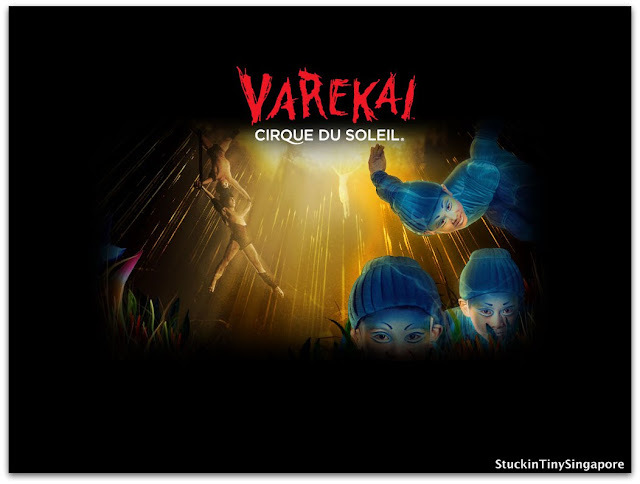 Finally in 2008, we started the year back at the Royal Albert Hall with Varekai. The show was written based on the Greek Myth of Icarus who flew too near to the sun. As with other Cirque shows, Varekai was both enthralling and spellbinding. Later in 2008, we travelled back to Las Vegas and caught 'O' at the Bellagio. This show was the one I was super excited about, as this is the first Cirque show that features water acts in a 1.5 million gallon pool. It also features synchronised swimmers and the usual ground performers. The unique element of the show makes it one of the best Cirque shows I've ever watched. In 2009, we moved to Asia, and I wasted no time to arrange to watch a few more of Cirque shows at the earliest opportunity!! 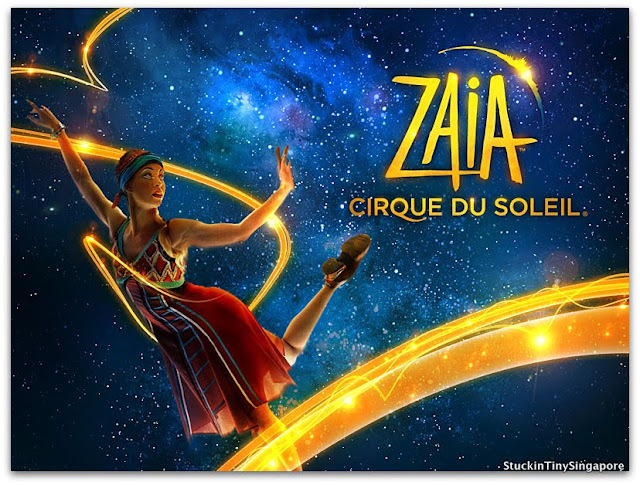 We went to Macau and watched Zaia which was showcased in The Venetian. It was a dismay experience. We watched Zaia at theater on a saturday night but show was two thirds empty! I think most of the guests were busy in the casino. Never had I been in a Cirque show that wasn't filled to the brim. Then the performers made multiple mistakes, which was something I've never witnessed in a Cirque show. I think they just didn't have the motivation to do their best, having to perform to empty seats at most of their performances. It was no surprise that the show played it last audience on the 12th February 2012 citing poor ticket sales as one of the reasons. The other arena show in Asia was in Tokyo's Disneyland. 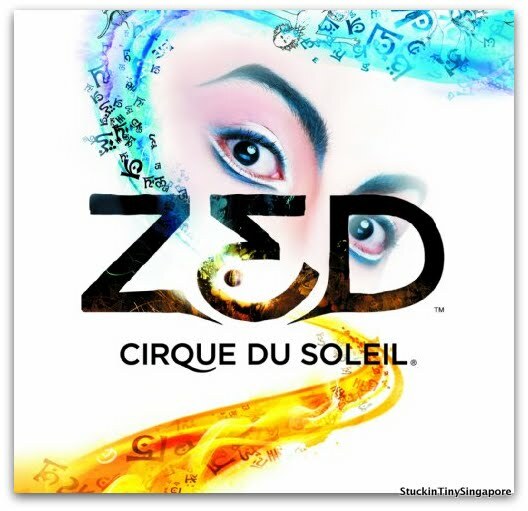 The Cirque show was called Zed. Unlike in Macau, the show was played to an almost full theatre and the standard was much better. Along the same theme of colour costumes and live music. It did not disappoint. What was amazing was the theater as it was built specifically for the show. So finally to Saltimbanco which is the one currently staged here in Singapore till the 5th August 2012. I have not been to the Indoor Stadium since 1997, when I was there for a tennis match. We got front row seats so that we could be close to the stage. But unfortunately the seats were on the same level, all 5 rows. If you were unlucky, like the hubby, there was a tall person in front of you, you would have probably missed quite a bit of the show dodging the head blocking your view. I think it would have been better further behind where the seats were set on a gradient. Lesson learned. It was great to be back watching a Cirque show after 3 long years. Saltimbanco didn't fail to impress. Loved the costumes, and the music was amazing. The singer's voice was faultless and so were the performances. All were perfectly executed. One can tell that they love performing. The advantage of being that close to the stage was that we were able to see passion in their eyes when they were performing. It is no wonder that it is the longest running performance as the acts were entertaining and captivating. Be sure to catch it before it finishes. Tickets are available via sistic. 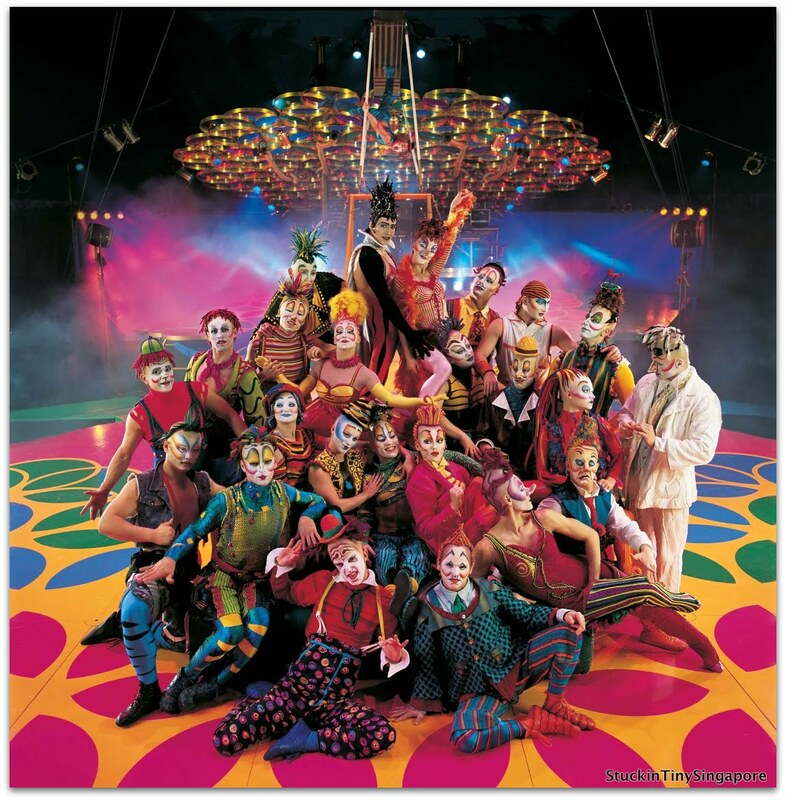 I love Cirque du Soleil! I’ve never been to see the show live, but I’ve caught it on TV before.